So far in our three-part PSP retrospective, oprainfall’s Karli Winata has examined the portable system’s pre-release hype and the letdown that followed. But that’s only half the story. Part 3 will chart the PSP’s final years, which weren’t as bleak as one might think. Over the course of the PSP’s life, the system has had a fairly diverse set of titles in terms of genre. It had its share of racing games, puzzle games, action games, RPGs, and various others. As the system’s popularity in the West waned, though, something rather interesting started to happen. The system’s lineup became more and more Japanese-centric. 2010 was the last year Western developers made any attempts at making a PSP-exclusive game. SOCOM: U.S. Navy SEALs Fireteam Bravo 3 was released early in the year, and God of War: Ghost of Sparta was released late that year. The rest of the releases were either ports like Lego Harry Potter: Years 1-4, the latest iteration of a sports franchise like Madden NFL 11 or NBA 2K11, or Japanese-developed games like Z.H.P. Unlosing Ranger vs. Darkdeath Evilman and Gods Eater Burst. In fact, almost every PSP-exclusive title in 2010 was developed in Japan. To the West, 2011 must have seemed like the PSP’s end had come. They would see fewer than 20 titles for the system, but that’s missing half the picture. 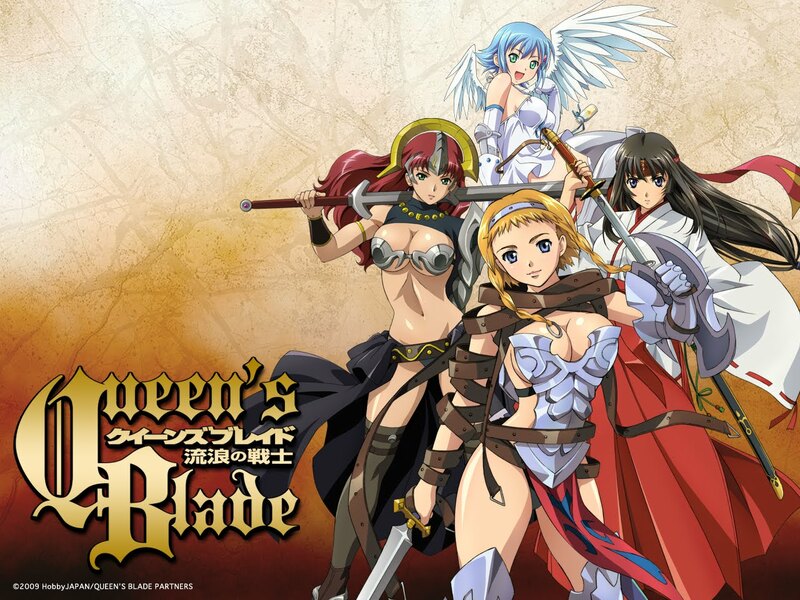 The number of unlocalized Japanese-only titles exploded in 2011. The year after that, almost every PSP game was released exclusively there. It wasn’t just a handful of titles, either—over 40 titles were released for it that year. Clearly, the system fared better over in Japan. You know your system’s in trouble when it takes a dragon to save it. When Monster Hunter was first released on the PS2 in 2004, not many took notice. 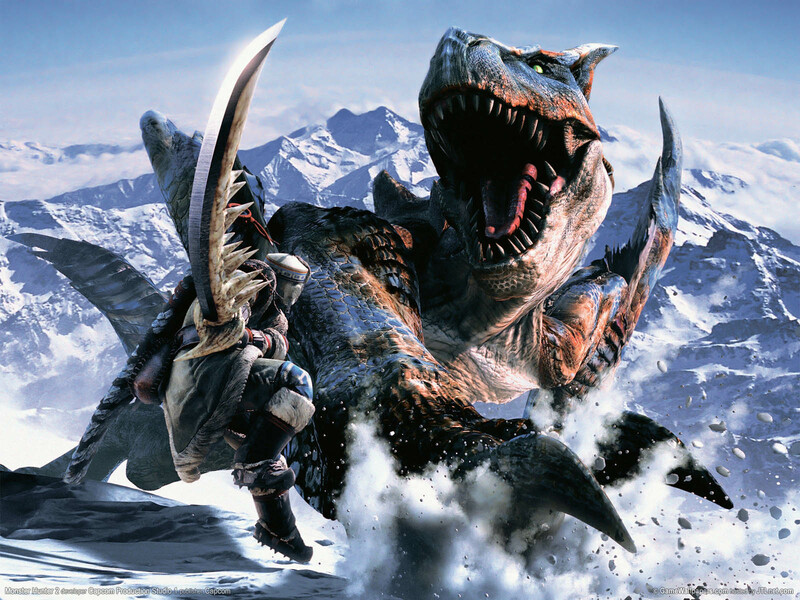 It, and its .5-esque sequel, Monster Hunter G, sold fewer than a million units. Most undoubtedly compared it to Phantasy Star Online and probably wrote it off as a less sci-fi clone of it. That changed December 2005, when Monster Hunter Freedom was released on the PSP in Japan. Freedom is the series’ first million-selling title, with Japan making up an overwhelming three quarters of all the sales. From that day on, the series became a kind of cultural obsession for Japan, and the PSP was its medium. The single-player part of any Monster Hunter game is largely, if not wholly, irrelevant. The key to its success was, and still is, the multiplayer component. Interestingly, the multiplayer aspect of Monster Hunter was present from the very beginning. The series started out as a kind of experiment by Capcom. They wanted to test the waters of online play, and Monster Hunter was one of these experiments. Part of the reason the multiplayer didn’t catch on was its monthly fee to play online. It was only ¥900 a month ($10.99 in the U.S.), but it was enough of a turn-off. Monster Hunter Freedom didn’t have an online component, but it did have local multiplayer, which was inherently free. That’s the reason the series finally took off on the PSP. In a sense, its spread can be tracked like a virus. If two or so people in a circle of friends started playing, it was almost guaranteed that everyone in that circle would start playing. Toshi Nakamura, Kotaku’s Asian correspondent, wrote about his friend’s experience with Monster Hunter. While on a trip with his colleagues, his friend noticed how everyone else was playing Monster Hunter on the PSP while he “sat in a corner” playing something else on his PSP. His friend remembers how everyone else had fun except him. Afterwards, he immediately got a copy of the game. For its entire life in Japan, the PSP was practically synonymous with Monster Hunter. Monster Hunter 2 was released on the PS2 not long afterwards, but it didn’t even sell a million units. Monster Hunter Freedom 2, on the other hand, sold well over 2 million copies, over one-and-a-half million of which were sold in Japan alone. All the PSP versions consistently outsold their home console brethren. It’s little wonder the PSP managed to thrive in Japan. With the install base growing in Japan, Japanese developers naturally gravitated towards it. But there was another reason developing for the PSP became a popular choice in Japan. In Japan, portable gaming was, and still is, much more popular than playing video games at home. The big reason is that just about everyone uses public transit, and playing video games became a popular way for most to pass the time. That’s why handhelds regularly sell better there than any home console system. This made the PSP a very attractive choice for developers looking for the biggest audience, especially considering their options. In the late 2000s, developers had a couple of platforms to choose from: the PS3, PS2, Xbox 360, Wii, DS, and the PSP. The Xbox 360, despite Microsoft’s efforts, simply did not have a presence there. The PS3’s notoriously complicated architecture meant higher development costs. The Wii’s and DS’s unique control schemes demanded unique gameplay, which turned off most developers who were in the business of making more traditional games, not to mention the fact that as a Nintendo platform, they would have had to compete with Nintendo–never a good match-up. That left the PS2 and the PSP. Although the PS2 had the highest install base of any video game system, Japanese gamers’ attention was shifting away from home consoles. Some developers chose to stick with the PS2, as evident by the continued stream of games to come out for it. Others moved their focus to PSP development. Along with a healthy install base, this was why the PSP saw some major support from Japanese developers. Whereas Western developers gave up on the system, Japanese developers would continue to release games for it until well into 2013. And that brings us to today and to my initial question. Why does the PSP feel like a failure? The answer seems pretty apparent. It just didn’t live up to the hype. Or maybe it tried too hard to live up to it. When developers made games for it, they did so with a home console mindset. At the time, that meant creating an FPS or just about any game that really would have benefited from having a second analog stick (or nub). It’s little wonder these games failed. The PSP would end up being the system developers ported their games onto and not much else. Invisible to most of us in the West, the PSP became a kind of lifeline for Japanese-centric genres like the RPG and the visual novel. Eventually, Japanese developers would learn to develop games for the PS3, but until then, it was the PSP that gave them an outlet. Not only did it have the install base thanks to Monster Hunter, the device itself was conducive to the various extravagances of RPGs thanks to the large storage capabilities of the UMD and the graphical horsepower of the system. Moreover, neither RPGs nor visual novels have ever needed a second analog stick. The PSP became the home of a couple of franchises that couldn’t quite make it in the big leagues. The Ys series found a new audience when Ys: The Ark of Napishtim was ported over to the PSP in 2006. It led to Ys Seven, a whole new chapter in the series, being created exclusively for the PSP. Syphon Filter, too, found a home on the PSP. The last two games in the series were released on the PSP before they were ported over to the PS2. The most notable example was probably Valkyria Chronicles. After its PS3 outing, the next two installments were developed for the PSP exclusively. A 2012 figure put the PSP install base at around 76 million units. The PSP most certainly wasn’t a failure as a gaming console. That’s about the install base of the Xbox 360 last year. In the grand scheme of portable game console history, the PSP is the most successful device not made by Nintendo. That may sound like a backhanded compliment, but that’s a real achievement. 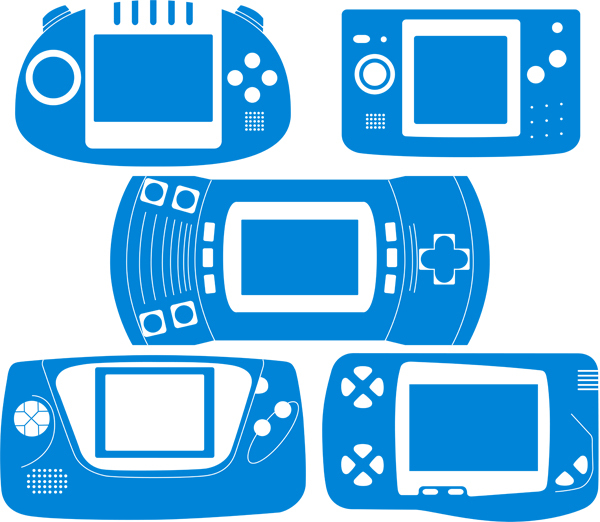 Ask SEGA, Atari, and Bandai how their attempts fared, and it becomes much easier to appreciate the PSP’s success. Remember these guys? If you said yes, you’re a liar. Let us all pour one out for the dearly departed. The PSP promised us the world. Although it failed in its grand ambition, it found a niche to call home regardless. And it thrived, although hidden from Western eyes. Let us never forget the times we ordered an army of Mike’s relatives into battle against dinosaurs and the hundreds of times we disemboweled Tidus. However, here we bury forever the faux second analog stick, non-solid-state “portable” media, and proprietary memory cards Sony forced down our… Oh, for crying out loud! Whatever. Thanks for the memories, PlayStation Portable. You endured where others failed. In honor of the system, I’m going to finish Brave Story. How do you turn this thing on again? Ever wondered why Sony included a microphone in the PSP-3000? Part of it was for online multiplayer chat, but the main reason was probably the first entry on this list. 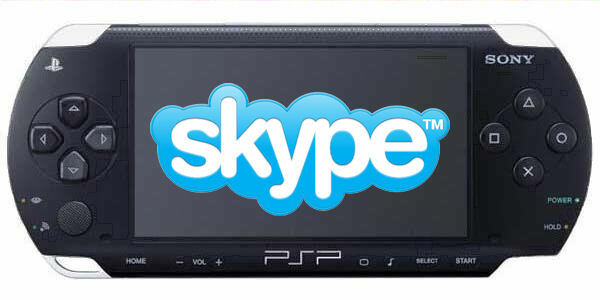 Introduced January 2008 in a firmware update, the PSP could be used as a fully functional Skype device so long as you had a PSP-compatible headset. Original PSP owners were unfortunately out of luck. Skype required the expanded memory only the PSP-2000 and its successors had. 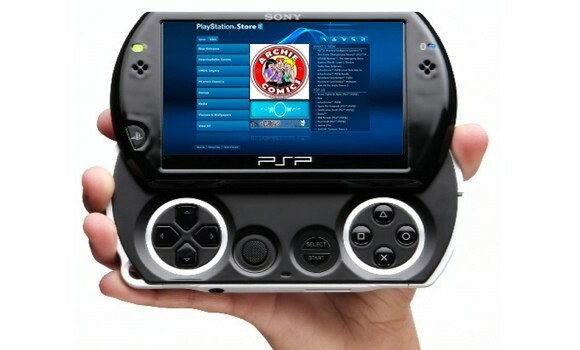 It may seem like all handhelds have a web browser these days, but the PSP was the first to pull it off. It was introduced in a firmware update July 2005 and was rather primitive. Namely, it didn’t support Flash. Even when it was eventually supported, it ran Flash version 6; Flash was at version 11 at the time. It also had some rather restrictive memory limitations, making some memory-heavy webpages next to impossible to view. Play may be a bit of a misnomer in this case, especially compared to the PS Vita’s Remote Play capabilities with the PS4. The PSP was capable of connecting to the PS3 and accessing the PS3’s various…settings. It did allow the PSP user to play games off of the PS3 hard drive, but it only worked on PS1 games. Originally, PS3 games were going to support it, but most dropped the feature. In the end, only a handful of games, most notably Lair, supported it. On the bright side, it could control the PS3’s media player without having to turn on the TV. Introduced December 2009, the Digital Comics Reader was an app where PSP owners could download digital comics. Sony managed to get Marvel, DC, Rebellion, iVerse, and a couple of other publishers to publish their digital comics through the service. Unfortunately, the service did not last very long. The server went dark December 2012. No, not the Tommy Wiseau masterpiece. Room, or R∞m, to be accurate, was the PSP version of PlayStation Home. It was introduced at Tokyo Game Show 2009 and went into a Japanese only, closed beta test October of the same year. Room was very much like Home in that both were simply chat rooms presented as a virtual space, except Room didn’t have big open public spaces. Instead, they consisted of private rooms where one host invited others into their room to “enjoy real-time communication.” Each person created a somewhat cartoony 3D avatar to represent themselves. The beta ended April 2010 because of negative feedback from users. Room never saw the public light of day.